As soon as you arrive at the Hotel du Danube, you will feel at home. 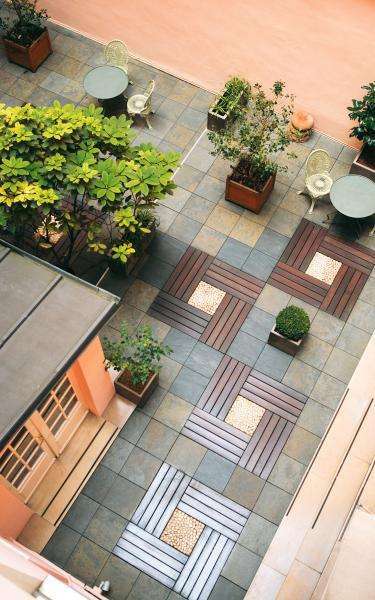 At the Hotel Danube Paris you will find space, privacy and the most beautiful district of Paris on your doorstep. At the Hotel Danube, we make it a point of honour to ensure you feel at home. Your time with us will be spent in an intimate, warm and welcoming setting. Enjoy a level of comfort worthy of the biggest hotels. We offer a harmony of colours, antique furniture, quality hangings, a flower-filled patio, balconies with views, soft lighting ... All you need to feel comfortable and rested. Our 39 well-appointed rooms will provide you with relaxing nights amidst refined decor. Our team is at your disposal to answer all your questions and guide you in discovering the best of Paris. Discover our elegant lounge with its atypical decoration with an eastern feel. Sit in an armchair and enjoy the peace and quiet to read or work using our internet accessibility. 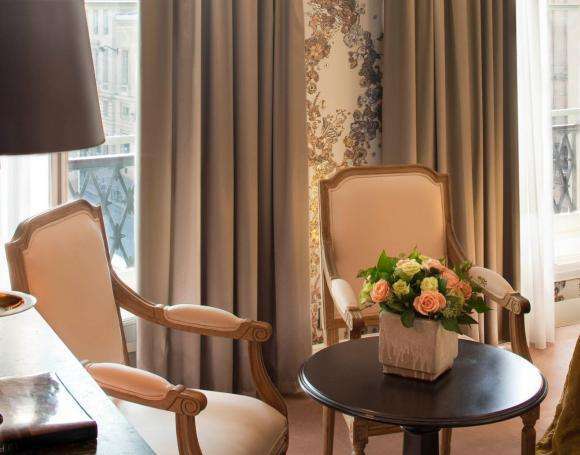 Alone or with your family, this is the ideal place to rest before or after a day of exploring the streets of Paris! As the first rays of sunshine caress the city, our pretty flower-filled patio welcomes you for breakfast or refreshments. This calm and rejuvenating haven away from the tumult of city life is where you’ll enjoy spending time. The Hotel Danube is an address steeped in history. 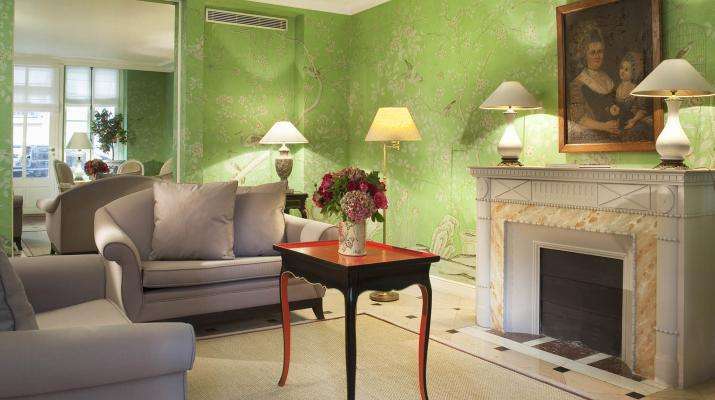 An old hôtel particulier (mansion) built in the 18th century and expanded under the Second Empire, the Danube has welcomed students, artists, intellectuals and lovers of the Saint-Germain-des-Près district and its wealth of bohemian life. General Wladyslaw Sikorski, Prime Minister of the Polish government-in-exile at the beginning of the Second World War, also stayed here. Let’s also remember that the building next door, 56 Rue Jacob, was where the Treaty of Paris was signed on September 3rd, 1783, signalling the end of the American Revolutionary War and the beginning of globally recognised independence for the United States. In fact, the entire district of Saint-Germain-des-Près is imbued with history. From its cafés to its paved streets, and from its church - the oldest in Paris - to its famous bookstores, it still resonates with the presence of great minds such as Marguerite Duras, Jean-Paul Sartre, Simone Beauvoir, Jacques Prévert, Ernest Hemingway and Pablo Picasso. Just sit in Les Deux Magots or the Brasserie Lipp and stroll the Rue de Buci to be taken back in time to those years of poetry, music and culture. Today, the district remains beautiful and it’s a joy to walk there, admiring its architecture and other cultural and artistic treasures. In the morning, you can enjoy a coffee while reading the newspaper at a pedestal table outside the Café de Flore. During the day, you might stroll along the streets to discover the neighbourhood shops, cross the Seine to visit the Louvre Museum and return by way of the Jardin du Tuileries and the Orsay Museum, close to the hotel. In the evening, you can party at the Caveau de la Huchette. So much choice! Because it’s important to start the day well, the Hotel du Danube prepares a gourmet breakfast every morning. Our continental breakfast, served in our dedicated dining room, is comprised of fresh fruit juices, pastries from the Eric Keyser bakery, Fauchon teas and hot coffee, as well as a variety of savoury dishes, fruits and cereals. If you prefer to spend an extra leisurely hour in bed, we offer the opportunity to have breakfast served in your room. And if the weather is fine, you can enjoy your first meal of the day on our flower-filled patio. The Hotel Danube offers services and amenities adapted to your needs. Our team is at your disposal throughout your stay to answer your questions and guide you in your choices.